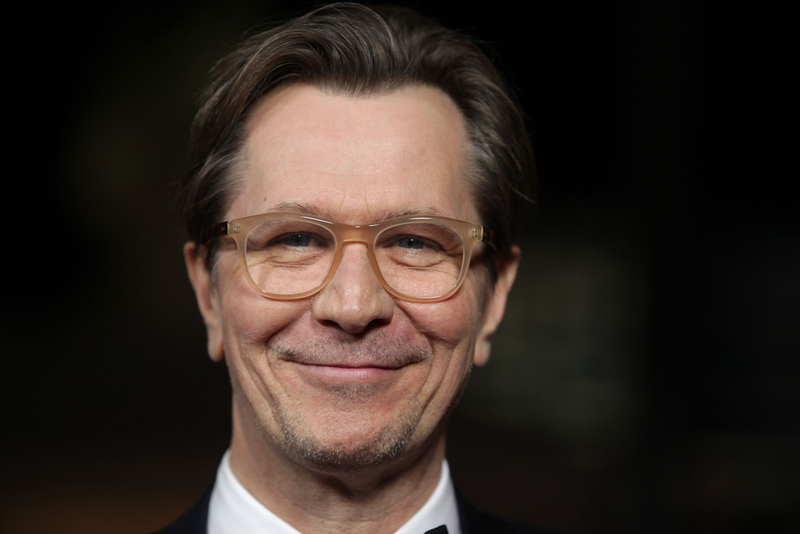 From his turn as brutal pimp Drexl Spivey in the movie True Romance to corrupt Drug Enforcement Administration agent Norman Stansfield in Léon: The Professional, actor Gary Oldman has made a career out of playing compelling villains. But it’s his portrayal of flawed-but-heroic British prime minister Winston Churchill in the war drama Darkest Hour that earned him an Academy Award for Best Actor at the 2018 Oscar ceremonies. Oldman, who has always admired Churchill and his actions during World War II, gained even more respect for the prime minister when he researched the role. And he’s said that he felt a strong connection to the part, explaining to TooFab in January 2018 that his mom, Kathleen, actually lived through the Blitz, the relentless bombing raids Germany visited on Britain in 1940 and 1941. Oldman, born more than a decade after World War II ended, grew up on a poor block in London and as a boy played in the bombed shells of houses that hadn’t yet been repaired. When Oldman was seven years old, his father, Leonard, an alcoholic, walked out on the family. Solo Mom Kathleen, whom Oldman calls “a remarkable bird,” went on to raise Oldman and his sister by herself. Oldman had little contact with his father over the years, and in 1986, Leonard died of liver failure. But Leonard left his son an unhappy legacy: Oldman himself struggled with alcohol abuse until he sought help through rehab and Alcoholics Anonymous. “I can remember [drinking to excess], but it almost seems like another life,” the actor told the Daily Mail in January 2018, “a whole other person.” After giving up alcohol, Oldman wrote and directed the 1997 movie Nil by Mouth, which to some extent drew from his childhood. Upon the film’s release, he noted that as he made it, he thought of the strength of women and of the challenges his Solo Mom faced. Kathleen, that remarkable bird, survived those lean years (she’s in her 90s) and so did Oldman. And if the actor’s life has been complex, it’s never been dull. He’s been married five times and fathered three boys. (His eldest, Alfie, is his son with actress Lesley Manville, who earned an Oscar nomination of her own this year.) Professionally, Oldman is something of a legend, with actors from Christian Bale to Benedict Cumberbatch citing him as an influence. And his film career has been staggeringly diverse, including the aforementioned villains, an acclaimed portrayal of punk rocker Sid Vicious in Sid and Nancy, Count Dracula in Francis Ford Coppola’s take on the famous tale, as well as recurring roles as Sirius Black in the Harry Potter films and as James Gordon in Christopher Nolan’s Batman trilogy. And that’s just scratching the surface. As Oldman said after learning of the nomination for his portrayal of the complex, influential Churchill, “I am overjoyed . . . and proud to be part of this wonderful thing known as moviemaking!” And now that he’s won his first Oscar? Overjoyed, indeed. Below is his Oscar acceptance speech, in which he thanks his mother.